Any serious student or researcher focusing on the concept of strategic warfare can often be hard-pressed to find suitable in-depth source material. The purpose of this article is to provide students, researchers, and historians with a reading list consisting of some of the most interesting and valuable sources that I have collected in the field of strategic warfare. NASIC's report detailing the current major strategic missile systems in service or development is a useful starting point when researching strategic delivery systems. Most major programs are mentioned, and basic details such as range and throw weight are provided, as well as a few choice illustrations. The only serious drawback is that the document is only 30 pages in length, meaning that there is not a great deal of detailed information about any of the systems mentioned therein. However, it is a valuable reference tool, containing data on most major missile non-US missile systems in development or service. This unclassified publication can be found online here. Number 36 in Osprey Publishing's Fortress Series, this volume is a short yet suprisingly detailed account of the development and deployment of American land-based defensive and strategic missile systems. While naval strategic weapons are not covered, all major US ICBM programs are given mention, as are the HAWK, NIKE and SAFEGUARD defensive missile programs. A final mention is given to the current NMD system being deployed. It should be noted that PATRIOT and THAAD, among others, are not covered, as they have not been deployed as operational defensive systems in the United States. This is the single, definitive reference source dealing with the Russian strategic nuclear arsenal. All major delivery systems are covered, from strategic bombers to submarine launched ballistic missiles. The technical data is absolutely first rate, and a history of each program is provided. Topics such as nuclear production facilities, nuclear testing, and strategic defense are also covered in exhaustive detail. There are also extensive endnotes for each chapter, with some of them providing further details and insight into little-known weapon systems alluded to or mentioned briefly in the text. The only drawback is that Mr. Podvig's work was published in 2001, and as such does not deal with the most current systems such as the RS-24 ICBM. He does maintain a website here, which provides up-to-date information supplementing his excellent text. This is the one reference work that any serious Cold War researcher simply must obtain. This is a shorter, less technical alternative to Podvig's work. It shares the same main drawback of being slightly aged, having been published in 2002. The main advantage to Zaloga's work is that the political side of the equation is given more attention, as are many of the developmental systems which did not enter production. The work is organized chronologically, which can be an inconvenience for a researcher focusing on one type of delivery system. The chronological layout does allow for a more historical analysis to be made, allowing the reader to examine the types of delivery systems that were in development concurrently. Zaloga's work does have merit as a secondary source, or as a primary source if Podvig's work cannot be located. Space surveillance, defensive systems, and nuclear testing and production are either not covered in Zaloga's work, or are only briefly mentioned. All in all, an excellent overview of Russian strategic nuclear forces and a better source than Podvig's where the political side is concerned. Both of these extensive reference works offer a great deal of historical and political insight into the American nuclear weapons programs during the early days of the Cold War. Be warned; while both books tend to focus more on the political and historical implications of the programs, they do delve into the weapons development aspect and as such can get very technical. This is one of the most interesting reference works on the Cold War, and consequently it is also one of the hardest to find. It is a higly technical look at the Soviet nationwide ABM network, the existance of which was denied by Western intelligence during the run-up to the signing of the ABM Treaty. There is a healthy dose of political discourse dealing with the rationale behind the West's ignorance of the USSR's progress, as well as a concise overview of Soviet ABM programs. The bulk of the work details the evidence supporting the idea that a nationwide ABM network existed in the Soviet Union. If a copy can be obtained, this is one of the most significant and revealing works on the Cold War yet published, and the only English-language publication dealing solely with Soviet ABM programs. Anti-missile and anti-satellite systems are becoming the new rage in the field of strategic warfare. While it primarily focuses on space warfare systems from an American standpoint, delving into the rationale behind acquiring such systems and how best to employ them, this reference work is invaluable to anyone interested in the topic as there is a great deal of technical data presented that cannot be found anywhere else. Various types of systems are described, as well as the technical requirements that they must meet in order to be successful. As a RAND publication, it can be found online here. Strategic warfare is one of the most interesting topics in the field of military studies. By using the sources listed above, any researcher will be well on his or her way to gaining a more complete understanding of the weapon systems and the political motives behind their development. As I locate more source material, I will update this article with the relevant details. Open-source reporting indicates that Iran has purchased the S-300PT SAM system from Belarus. The S-300PT will represent the most modern, advanced SAM system in Iran when it is operationally deployed. According to Jane's International Defence Review, Iran is now the owner of four S-300PT battalions. Two of these units were sourced from Belarus, and had been deployed as capital-area air defence units around Minsk. The other two units were sourced from an undisclosed nation and were recently refurbished by Belarussian technicians working at an IRGC facility in Iran, where the units were stored. A typical Belarussian S-300PT battery consisted of twelve TELs, one 5N63 (FLAP LID) engagement radar, and one 5N66 (CLAM SHELL) low altitude detection radar. It is therefore logical to assume that the two "battalions" obtained from Belarus were in fact two complete firing batteries worth of equipment. Combined with the other two units refurbished in Iran, this gives Iran a total deployable force of approximately four S-300PT batteries. Jane's goes on to state that both the 5V55K and 5V55R missiles were included in the deal with Belarus, implying that the systems were of the improved S-300PT-1 or S-300PT-1A variant. Baseline S-300PT systems lacked the ability to employ the SAGG-guided 5V55R weapon, and were limited to using the command-guided 5V55K only. It is possible that the extended-range 5V55RUD was also included. The S-300PT provides Iran with a modern, complex, and very effective SAM system. 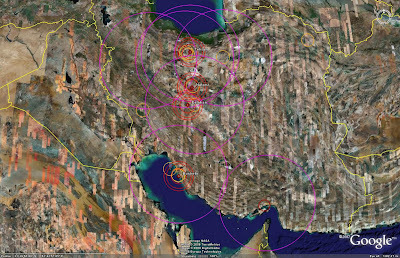 Iran's current strategic SAM systems, the HQ-2 (CSA-1 GUIDELINE) and S-200 (SA-5 GAMMON), are limited by their single-target engagement capability. The S-300PT's 5N63 radar system can prosecute six targets simultaneously, while guiding a maximum of two missiles to each target. The S-300PT is also a far more mobile system than its Iranian stablemates. It is not, however, a true mobile SAM system. The 5N63 radar system is not vehicle-borne, and is mounted on a towed trailer for transport. 40V6 mast assemblies are required to erect the 5N63 and 5N66 radar systems, although the 5N63 could remain on its trailer for operation if required. These factors lend the S-300PT to a fixed site layout rather than a mobile environment. Four S-300PT batteries will result in a significant increase in overall capability, but are not enough to upgrade the entire Iranian air defense network. In order to maximize their effectiveness, Iran will likely adopt one of two deployment strategies. The systems will likely be deployed to protect either significant military facilities, or significant nuclear weapons research and production facilities, or a combination of the two. 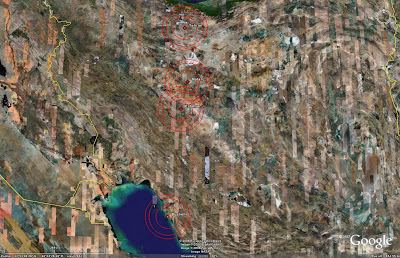 The following image depicts the areas defended by S-300PT batteries at the aforementioned locations. The three range rings around each site denote the 47km 5V55K missile, the 75km 5V55R missile, and the 90km 5V55RUD missile. To illustrate the limited effect that the S-300PT's presence will have in the context of the overall Iranian air defense picture, consider the following image. In this image, the S-300PTs have been deployed at the nuclear facilities. HQ-2, S-200, and HAWK engagement zones are also displayed, the HQ-2 being denoted by dark red rings, the S-200 by light purple, and the HAWK by orange. As can be seen, the short-range of even the 5V55RUD-equipped S-300PT does not result in a significant increase in capability. The S-300PT does have a multiple target engagement capability advantage, and this is why the system is likely to be deployed as a point defense asset to protect various facilities. To create a more potent air defense network overall, either a longer-range system would be required, or an increased number of S-300PT batteries. On occasion, Iran has turned to North Korea for military assistance. 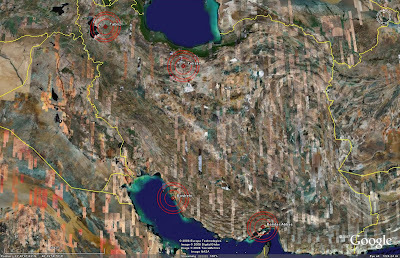 It is possible that North Korea could be called upon to aid in increasing the survivability of Iran's most modern strategic SAM system through the use of hardened launch sites. North Korea has been shown to employ significant hardening techniques at S-125 (SA-3 GOA) and S-200 sites, to include the use of silos used to house the engagement radars, which are ostensibly fitted to elevating platforms. Similar techniques, if employed by the Iranians, could help to make the S-300PT systems far more survivable. Iran has shown a degree of competence in the field of hardened facilities recently with the silo-based missile complex at Tabriz, and could certainly undertake a hardened deployment of the S- 300PT on its own, but North Korean assistance in this regard may still be worthwhile given their experience with hardened siting of SAM systems. Given the nature of the system, the S-300PT could be deployed in two separate types of hardened facility. The first would feature underground garages for the complete TELs. The second would feature much simpler hardened silos for the individual, sealed launch canisters. The first example of a hardened site concept for the S-300PT system involves a below-ground, concrete hardened garage. Inside this garage, the 5P85 TEL is mounted. When elevated for launch, a retractable skirt would join the missile tubes with the silo opening. The silo would be covered with quick-opening launch doors, likely covered with debris or dirt when closed to assist in keeping the location hidden. A control bunker would be provided for launch crews, and an entry door would allow the removal of the TEL for maintenance or reloading. Finally, an exhaust extraction fan would prevent the buildup of toxic gasses inside the garage bay. The alternative to basing the entire TEL inside of a hardened facility is to simply mount the individual launch canisters inside of hardened silos. These silos would be far cheaper to develop and maintain, and would require far less time to construct given their smaller scale. These remote launch facilities would consist of a number of silos, each containing four 5V55-series launch tubes. As the 5V55 missile tubes are sealed until launch, they could remain inside the silo until they are launched. The only above-ground component required would be a communications antenna, allowing launch commands to be transmitted from the fire control facility. If the radar is located in close proximity, the launch silos could be connected via more secure cables. However, using radio commands would permit the launch sites to be dispersed over greater distances, potentially making them much harder to locate. Basing the missile canisters inside of silo complexes also allows the TELs themselves to be held in reserve in the event that the silo complexes are destroyed, allowing Iran to retain the ability to redeploy the system should the need arise. The main problem with such a small number of deployable batteries is that they cannot be employed to maximum effect. Doing so would involve the use of EW assets such as the 36D6 (TIN SHIELD) or 64N6 (BIG BIRD) EW radars to provide target acquisition data. the 5N63 engagement radar employed by the S-300PT can perform independent target acquisition functions, but the system is more effective with off-board cueing, providing quicker reaction times. A long-range radar system such as the 64N6 can also acquire targets at roughly twice the range of the 5N63, providing a greater degree of early warning and enhanced situational awareness. As there is no evidence to suggest that Iran obtained either the 36D6 or the 64N6, it is likely that the batteries will, for the time being, be left to operate as independent units. In this regard, it is entirely possible that Iran may choose to keep its S-300PT batteries garrisoned, deploying them to predetermined locations when the need arises. The only issue with this strategy is that the S-300PT does require a semi-prepared site to operate from, and such sites, unless they are of the hardened, sub-surface variety described earlier, are easily located in overhead imagery. The S-300PT represents the most advanced SAM system in the Iranian inventory. When the Belarussian systems are delivered, the four S-300PT batteries will represent a serious roadblock towards a limited incursion by an aggressor such as Israel seeking to destabilize the region by striking Iranian nuclear weapons production facilities. The S-300PT will not, however, close Iranian airspace to a large-scale aerial offensive. To achieve that goal, Iran must continue to pursue acquisition of more modern S-300PM-1/2 or S-400 SAM systems from Russia, and the EW systems to integrate them on a national level.